Sony has today taken the wraps off their latest flagship Android smartphone, the Xperia Z4, and compared to its predecessors it only brings a few minor changes to the table. Considering the Xperia Z3 was only announced and released six months ago, the lack of major upgrades isn't hugely surprising. A significant portion of the Xperia Z3's hardware has been reused for the Xperia Z4. You're still getting a 5.2-inch 1080p IPS LCD display on the front, a 20.7-megapixel Exmor RS sensor with an f/2.0 lens on the back, and an IP68 water resistant body that looks very similar to other Xperia devices released so far. What has changed is the SoC, with Sony upgrading to a Snapdragon 810, which is the fastest silicon available from Qualcomm today. The chip has already been seen on devices like the HTC One M9 and LG G Flex 2, packing a 2.0 GHz quad-core Cortex-A57 CPU in tandem with a 1.5 GHz Cortex-A53 CPU, and an Adreno 430 GPU. Internally you also get LTE support up to Category 9 where supported, 32 GB of storage (expandable through a microSD card slot), and 3 GB of RAM. The battery has shrunk slightly to 2,930 mAh, and that's because the revised Xperia Z4 body is slimmer (now just 6.9mm thick) and lighter, at 144 grams. Other new Xperia Z4 features include a 5.1-megapixel front-facing camera, which Sony touts now has digital image stabilization, and an exposed micro-USB charging port despite the waterproof body. The handset will run Android 5.0 'Lollipop' out of the box. 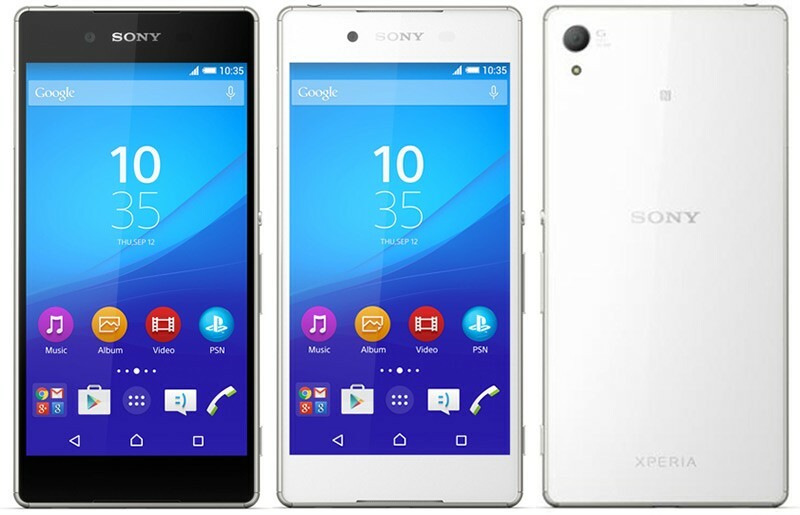 At this stage, Sony has only announced the Xperia Z4 in Japan, where the handset will go on sale this coming summer. There's no word on when the device will launch in other territories, but we imagine it can't be too far away.